Alex Spurkel is a professional drummer with over 18 years experience in both western and non-western drumming traditions. 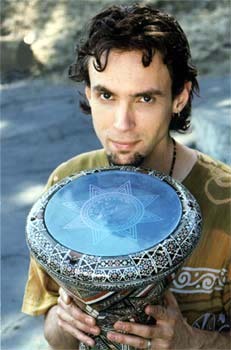 He has studied Middle-Eastern, African, Celtic and Indian percussion and has developed a unique and exciting style as a result. He is known best for his expertise on the doumbek and for his Middle-Eastern/World/Electronica fusion band Naked Rhythm. As an instructor Alex is a clear and insightful. In addition to classical Arabic style, he is able to draw from many other traditions and easily share his insights with others. His warm and personable approach allows him to effectively teach any person how to connect with the rhythm and excel in the beautiful art of drumming. He is able to effectively break things down and present information in a way that makes it easy for students to learn...and have fun! 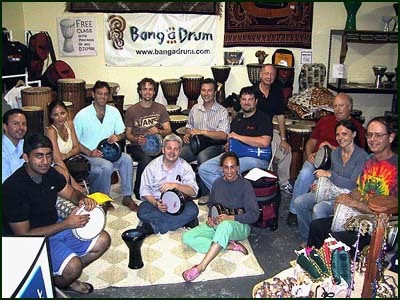 Beginners and dancers who want to drum welcome!